For Jorge Gonzalez, banking isn’t about loans, checking accounts, branches, or online banking. It’s about people. Those people are the City National Bank of Florida’s almost six hundred employees and its loyal clientele, many of whom have been with the bank—Florida’s third-largest—for decades. 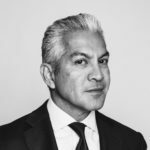 As the bank’s president & CEO, Gonzalez is betting that in the highly commoditized financial-services sector, it’s people that will help him rise above the fray, win market share, and grow. Since being profiled in Hispanic Executive two years ago, Gonzalez has orchestrated the sale of City National to Chilean-based Banco de Credito e Inversiones (BCI), entered the Tampa and Sarasota markets in Florida, and launched a specialty finance company: City National Capital Finance, which is already ranked as one of the top leasing companies in the country. The bank also builds scale to be able to invest in the people, technology, security, products, and platforms necessary to compete with the larger banks. Combined with ever-rising compliance and regulatory costs, these are things that smaller banks just can’t afford. At the same time, Gonzalez keeps the bank nimble and close to its clients in a way he says larger banks are just not built to be. In recent years, City National has been making big investments in both people and technology. Consumers have virtually no reason to go to a branch with the advent of mobile-banking technologies such as remote deposit and services that allow them to pay other people with the click of a button. In fact, according to a recent forecast from research firm Javelin, the percentage of weekly customers using mobile banking has been climbing dramatically and actually exceeded those using branch banking for the first time in 2015, 30 percent to 24 percent—even though only five years earlier mobile banking was at 9 percent and branch banking was at 40 percent. “[Financial institutions] will need to continue to innovate to outpace this increasing mobile-banking adoption,” said Daniel Van Dyke, an analyst for Javelin. Gonzalez understands this all too well. “People just don’t use banking centers like they used to,” he says. “What people really want is multiple channels of connectivity.” He doesn’t look at these technologies like the big banks, though, which are focused on efficiencies and lowering costs. For Gonzalez, it’s almost entirely about consumer choice and ensuring his clients can interact with the bank in whatever way they like. Beyond offering competitive compensation (every employee participates in a bonus program) and a generous benefits package, he and his team work to maintain City National’s family-styled workplace despite the fast growth. Gonzalez maintains an open-door policy, and his mobile phone is listed on the company’s intranet, available to any employee. He holds regular town hall meetings, including open forums, to stay close to the bank’s employees. And, the last Friday of every month, the company hosts employee appreciation lunches, where executives dish out heaps of steaming barbeque or tasty tacos while employees play games to win prizes. Since its acquisition by BCI, City National has focused even more on developing its people. It’s always made significant investments in training employees to do their jobs, but lately it has shifted to personal development as well. With the help of its parent company, City National has launched a leadership academy designed to develop its leaders. The first group going through the academy is Gonzalez’s direct reports. The six-month process includes three two-day off-site meetings, and each executive is assigned a professional leadership coach. Eventually, every manager will go through the academy. As City National focuses on its people, it will also continue to serve its customers by investing in and strengthening its ties in Florida, making donations toward education, child development, and culture in its markets. “Our communities will prosper, and therefore we will have a better business community to work within,” Gonzalez says, adding that City National is probably one of the only banks in the state that has received a community reinvestment rating of “outstanding” from the federal government—and that it has done so for fifteen years straight. The bank also gives close to $250,000 to the United Way on an annual basis and makes significant contributions to the YMCA, the Make-A-Wish Foundation, and the Children’s Home Society, among others. Right now, the bank’s upgrading some of its existing money-management platforms designed particularly for small- and midsize businesses. One platform provides such businesses with an efficient way to pay their employees and vendors and move cash around, and another platform acts as a digital lockbox where businesses can collect payments from customers. City National just launched a new version of the lockbox platform in July, and it will now allow businesses to collect their payments even more efficiently so that they can invest the money back into their work. 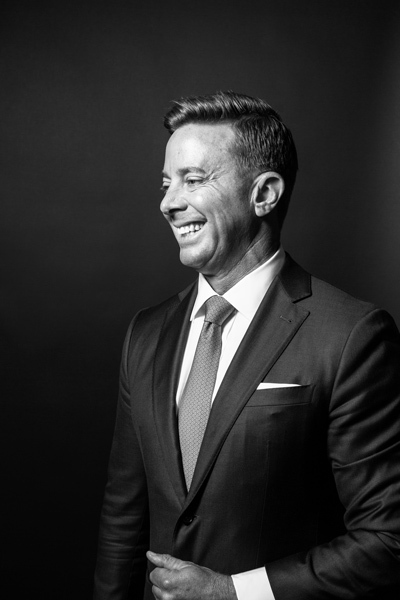 SI Solutions, a business partner of City National Bank of Florida for the past six years, is pleased to recognize the accomplishments of City National Bank of Florida’s CEO Jorge Gonzalez. Jorge is driving forward with technology solutions as we assist developing marketing strategies through multiple channels of customer communications. SI Solutions has been serving the financial market since 1976. SI is a leader in integrated customer communication solutions. We create, govern, and deliver personalized multi-channel communications your customers require. We will evaluate your current processes to determine appropriate products or services specific to your needs. Learn more at SI-Solutions.com.